17' Whaler, 60hp Mercury Engine, galvanized Roadrunner trailer. Unit comes with Scotty down riggers (2), Lowrance sonar/gps LCX-18, custom boat and seat covers, Eagle fish finder, anchor system, cannon balls, net. Very good condition with engine carbs just rebuilt and running perfect. 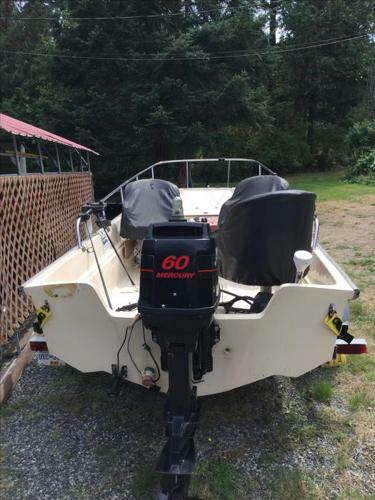 Great fishing boat with tiller steering, electric start and large gas tank. 2018 Northwest 208 Seastar Beat the Tarrif!